A recent company has caught my eye which appears to be a new take on dashboard web hosting. 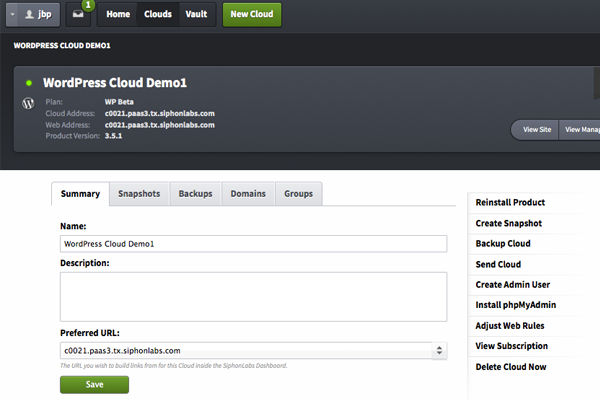 SiphonLabs is a cloud hosting platform with snapshot imaging for webmasters. This means you may take a snapshot of your website in any configuration, and then keep it saved or even duplicate a mirror image to another cloud. The service has just recently launched and updated with a new blog post explaining some of the features. I want to share a deeper introduction so readers may consider if the service would be worthwhile. Notably the site imaging and single-admin access panel means the management is a whole lot simpler than other providers. And thankfully there are no MySQL databases to backup since all the data will stay bundled together. I think SiphonLabs is a better experience when you are pitching to a client as a freelancer, or working within a design agency. I know plenty of webmasters who also know some basics about server management and would prefer to have direct access when necessary. But this is not often the case with non-techies. In fact, it is reasonable to say that SiphonLabs provides an easier service for these folks. 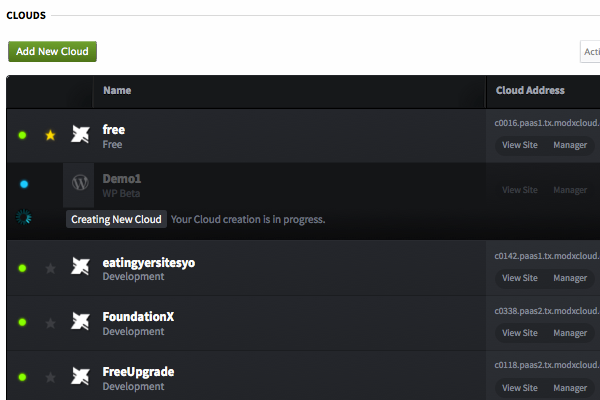 Currently the cloud service only supplies an immediate install for WordPress and MODx. However there are future promises of Magneto, Joomla!, and Drupal. 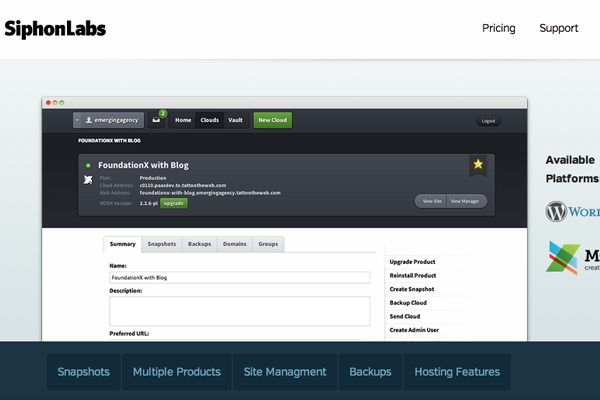 These CMS engines are all powered using PHP/MySQL on the backend. Thankfully a simple hierarchy within the cloud means updates are not your concern. The system is managed a bit differently than a physical server but the software is all the same. I would think that clients should feel secure using this system for their website hosting. Anybody has the option to resell their production server and help users setup their own custom domain name. The cheapest monthly plan is $24/month which comes out to $288/year. There are certainly more expensive hosts out there and this is on the lower end of the spectrum. All of the websites are constantly being kept in data backups hosted on alternative hard drives. If anything happens to fail the data should be quick to reinstall. It seems as though the team is dedicated to managing each website gracefully. A possible issue may be the limitations on visitors based on the payment plan. But you can find other helpful resources in the support knowledgebase discussing these topics and a whole lot more. One other major point which I like about SiphonLabs is their free account. 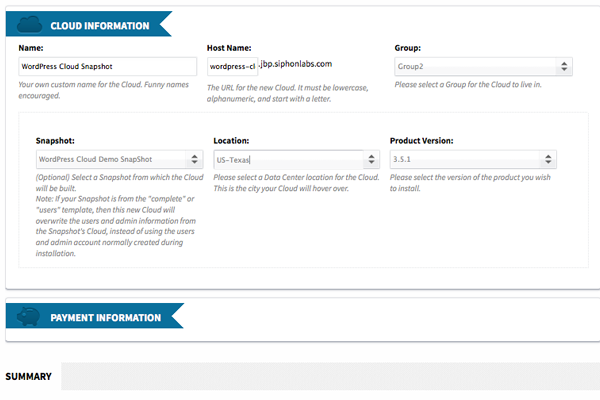 You may sign up to use a development cloud which is kept on their own subdomain. You can test out the features and build your own practice websites very quickly. And then once you know it’s time to go live, just switch to another account and make a local backup for safekeeping. Web developers might even consider signing up for their own free account to perform local demo tests. Often times you will not have access to your development computer and PHP/MySQL is not always worth the effort of re-installing. But having access to your own cloud account will mean development is possible from any computer with Internet access. I would think freelancers and design agencies can benefit from these handy practices. But SiphonLabs is certainly not for everybody. Check out some of the greater details and read into the FAQs to learn more. I find the service to be fairly unique in a sea of alternative cloud hosting solutions. They have a lot to offer with immediate CMS installs and snapshot imaging data backups. It will really piece together when developers can start building on top of Joomla! and Drupal CMS installs. But even for now the WordPress platform is an extremely elegant solution. Check out the SiphonLabs beta signup page if you’re interested in a new account. And keep your eyes out for more updates, as it’ll be interesting to follow trends on these cloud-hosted website platforms.